From top to bottom: sore feet from too much adventuring, ALL DAY COFFEE, CITY BAKERY, MOKU MOKU FARM, BROOKLYN COFFEE, Osaka castle and CITY BAKERY again cos dem wholewheat croissants will be the death of me! In the past week, I have dined at two next-level contemporary eateries in Osaka which you OUGHT to know about and hopefully try out for yourself. The first one is Smorrebrod Kitchen located in the Osaka library building and the second is NORTHSHORE a 10 or so minute walk from it. Both boast a mouthwatering menu, a beautiful ambiance, saliva-inducing sandwiches and citrus infused water. Oh how I wish I lived in this city so that I could go back again and again and again. Pleaaaase go in my place. I ordered the fish set menu which happened to be shrimp that day. It came with a cold corn soup, a fresh crisp salad and a fancy shrimp dish (see below). To drink, I had homemade ginger-ale with real ginger. Mmmm. And citrus-infused water! The menu was in Japanese but the handsome waiter explained everything to me in English. 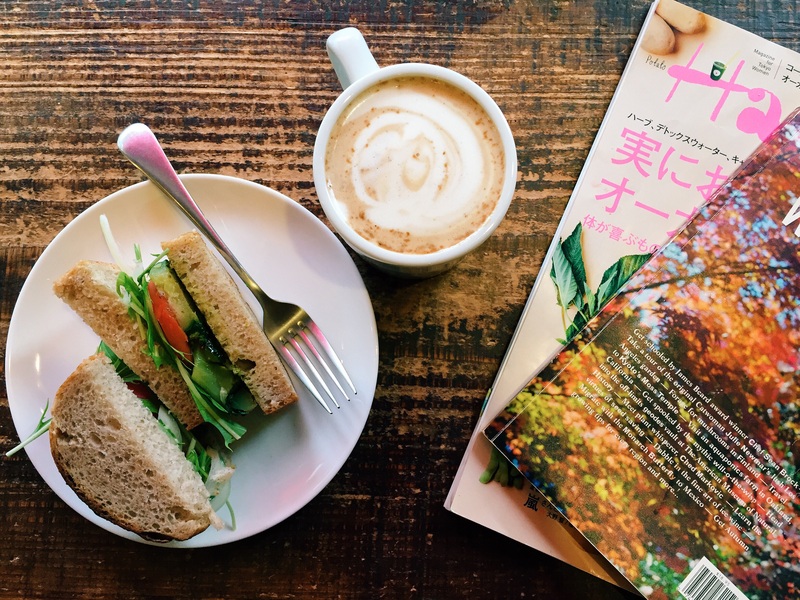 I read food magazines and soaked in the positive ambiance. Just gorgeous. After, I sent my pictures to SK’s Instagram. They replied with: “Thank you for your message. I’m so happy. Come back anytime.” Don’t worry SK, I WILL! I actually heard (well, read) about Northshore at Smorrebrod Kitchen (in a food magazine). So I guessed it would be popular but I didn’t realize that we’d have to wait for a table for about 40 min at 3pm! That’s not even remotely lunch-timeish! However, it was so worth the wait. In fact, I would even wait 3 hours. Yes, 3! It was that good. Ashleigh and I shared the egg and vegetable sandwich and the very berry pancakes. The tropical pancakes also looked good! The menu here was in English and almost all the staff could also speak it. The menu items can easily be shared but who can resist ordering one thing anyway? So good. Oh and the view! Oh the view. If there is anything I do before leaving Osaka it’s going here again! Top to bottom: a nostalgic trip down memory lane; visiting my old University followed by a lunch and coffee date with a crazy Italian at Kadett (an exciting CHCH newbie) and C1 (a CHCH legend) featuring cheeky Marco’s middle finger and ginormous thumb. C city. Not sin city. Well, it’s up to you really. Anyway, I had the most wonderful day. Coming home is really something else. I can’t even explain it. Just feel so happy and so blessed. It really is true, you don’t know what you have until you don’t have it. Also, Christchurch is seriously booming after the earthquakes. Which to me, only solidifies that everything happens for a reason. First, breakfast and not just any breakfast but THE BREKKIE OF A LIFETIME at Little Pom’s. Grilled halloumi, sugar snap peas, smashes peas, avocado, broccolini, smoked almonds, poached eggs, multigrain toast, olive oil ($24nzd) which I shared with my mama. I loved this place. How could I not with such floral wallpaper?! Next, a walk around Hagley Park. For all my overseas followers, this is a very gorgeous and very large park right in the middle of our city and is beautiful at every season. Next, a wholesome lunch: roast veggie salad and green smoothie at Pure Cafe. 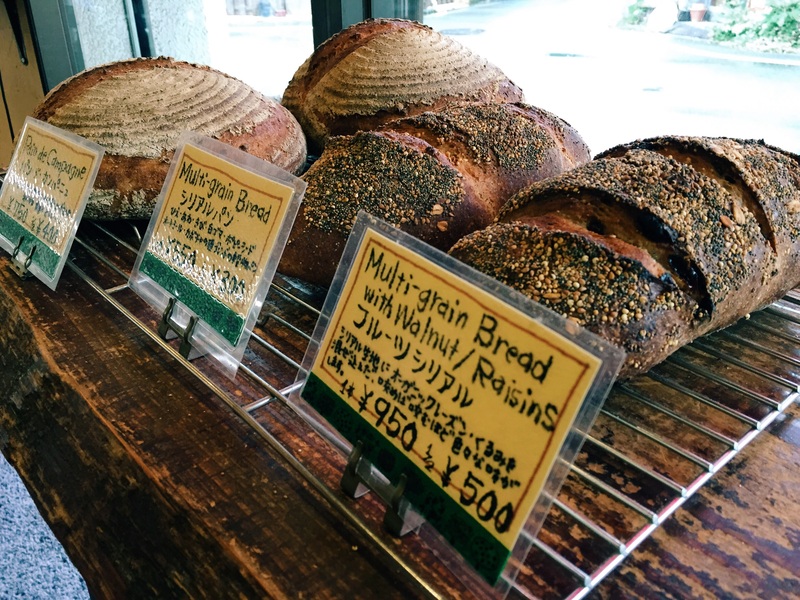 Finding vegan food let alone vegan eateries in Japan is somewhat problematic. Ok, it’s problematic. Not somewhat. Actually, I was once told by a writer friend to not use that word, ever. Sorry. So yeah, it’s difficult to find food without dashi (fish stock) or niku (meat) here. So when my adorable yogi friend, Mi-chan told us about entirely vegetarian Café Bonheur, I got pretty excited. After having lunch there yesterday, my verdict is, Café Bonheur is a nice place to take your Mother on Mother’s Day (take that as you will). The building itself, its interior and the overall feel of the place is really beautiful and stylish. It is not Japanese whatsoever. I would describe it as an artisan beach-style café. Adorned with sunlight and pot plants, it is much like sitting inside a glasshouse. In one word, elegant. As for the food, for the price of 1000 yen (about 10 dollars) we ordered the one lunch plate on offer containing a variety of tasty creations including soy “chicken karaage”, tofu “mozzarella”, braised vegetables (2 kinds), garden salad, brown rice and barley soup. For an extra 300 yen ($3 or so dollars) we were able to have a coffee AND a vegan tofu chocolate cake after. Everything was tasty and again, elegant, lush, luxurious. Without stereotyping too much, I know my mother would love it and my father’d have a fit.